The Hong Kong AIDS Foundation will first launch the “AIDS FREE Charity Trial Run”, aiming to raise fund, to promote care and support and to create a caring community for those people living with or affected by HIV/AIDS. 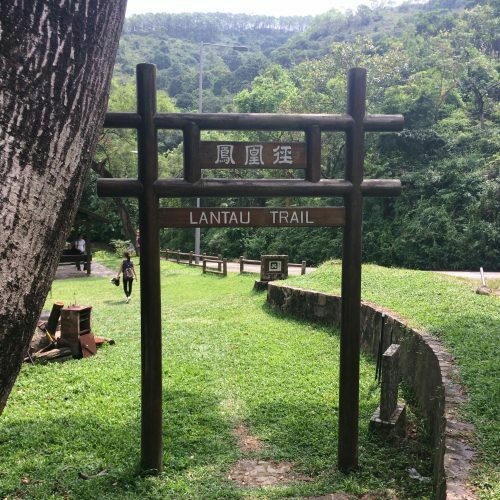 10km and 5km run are the perfect way for professional trail runners, friends, family members and dog owners to fulfill their desire for a challenge, to experience the culture of Mui Wo as well as to enjoy the beautiful natural scenery there. We also welcome direct donation for the event. Game Booths: 10:00a.m. – 1:00p.m. 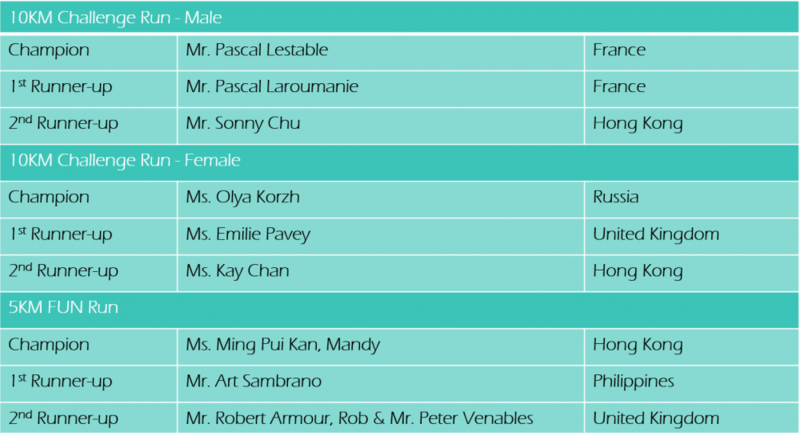 Award Ceremony: Starts from 10:30a.m. 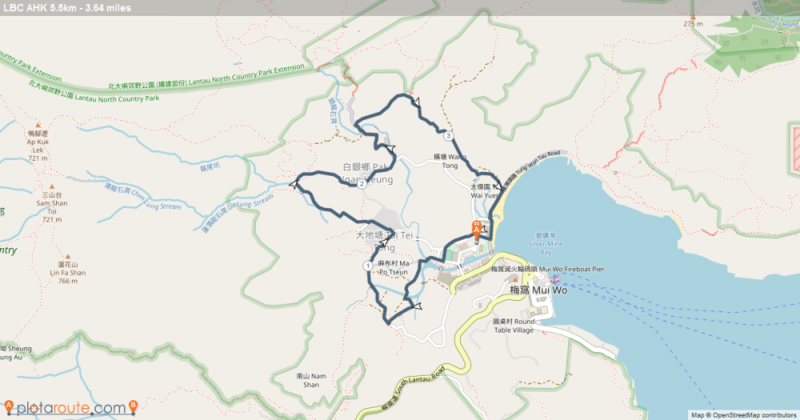 – No support point is located along the route for 5km run. If necessary, participants please prepare adequate food & drinks for personal use. – One support point is located along the route for 10 km. If necessary, participants please prepare adequate food & drinks for personal use. 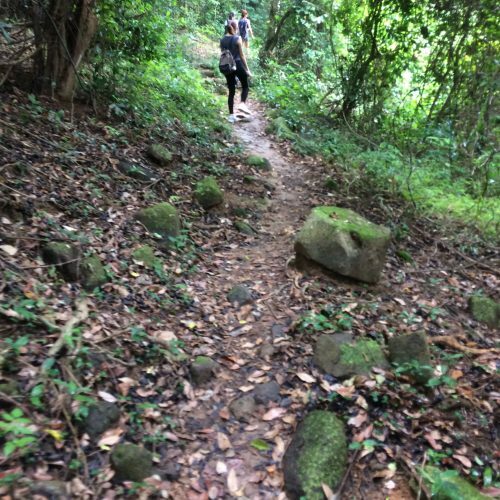 – For environmental-friendly policy, HKAF will not provide any paper cup or plastic bottles along the race (except sponsored drinks). Participants please bring your own water bottles for water refill. To take the 3M New Lantau Bus from Tung Chung MTR station. Bus-stop at the Municipal Services Building was available for some designated bus schedule via the Market. 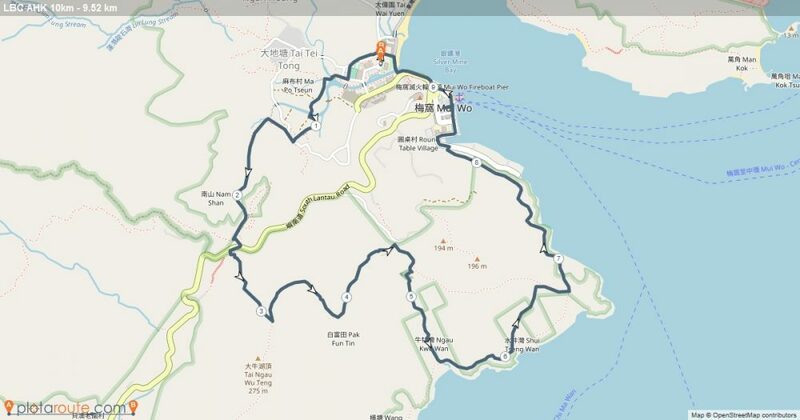 For other schedules, get off at the terminal (Mui Wo Ferry Pier) and walk towards Silvermine Bay for about 10 minutes. Remarks: No parking space will be available for participants on the event da. Participants are suggested to take public transportations. 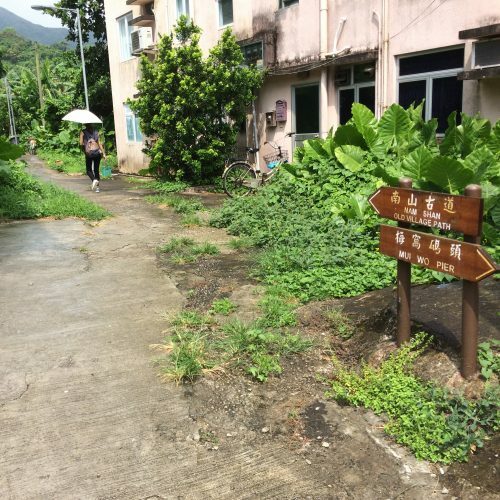 To take ferry from Central Piers Terminal (Pier 6) to Mui Wo and walk for about 10 minutes from Mui Wo Ferry Pier towards Silvermine Bay. Please help support our vital work by making a donation. 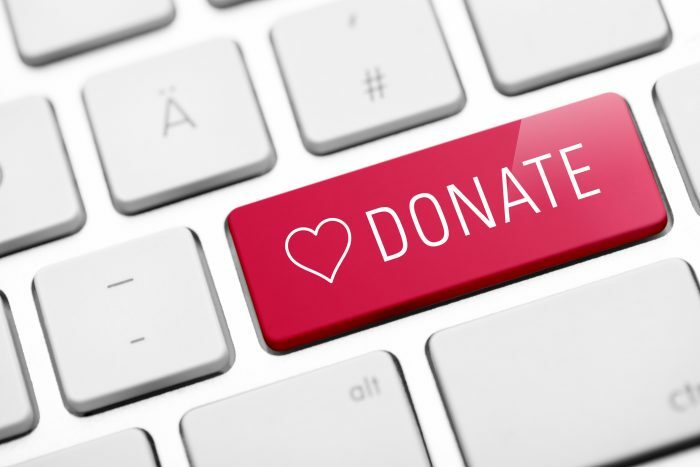 You can either donate directly to our Foundation or become a fundraiser for the event. – If you have not received the confirmation email by 2 January 2018, please call us at 2983 8428 or email to lantaubasecamp@gmail.com for assistance. – Participants must choose the collection location during enrollment. Collection location is not allowed to change afterwards. If participant is unable to collect runner’s pack on specified collection dates, participant can only collect his/ her runner’s pack at the registration center at 8:15 a.m. – 9:30 a.m. on event day. Participants who fail to collect the pack within the period will be disqualified. 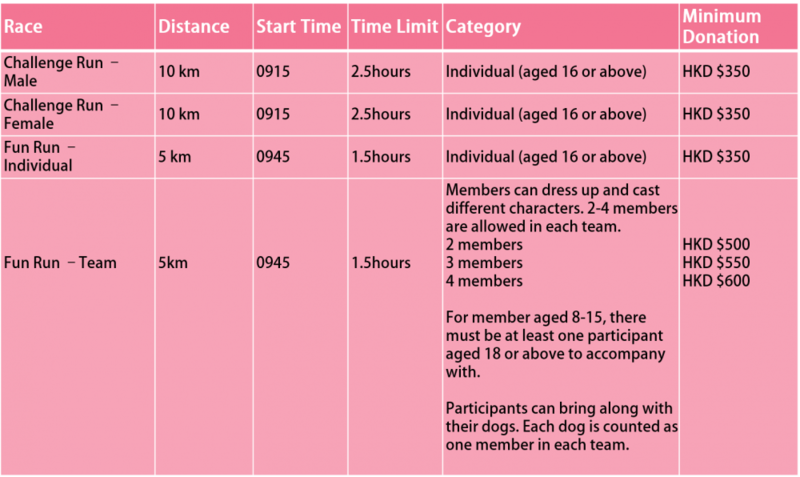 – One participant can only collect one runner’s pack. No race number cloth and timing chip will be issued or distributed on the event day. Race bib (attached with a timing chip) is not transferable. Participants who violate the rule will be disqualified. – Please provide personal supporting documents for identity clarification. Participants can authorize a person to collect the Runner’s Pack for you. Please bring along the Letter of Authorization, a copy of collector and participant ID card or Passport to our staff at the collection point. – To support environmental protection, HKAF will not provide T-shirt for the event. 1. 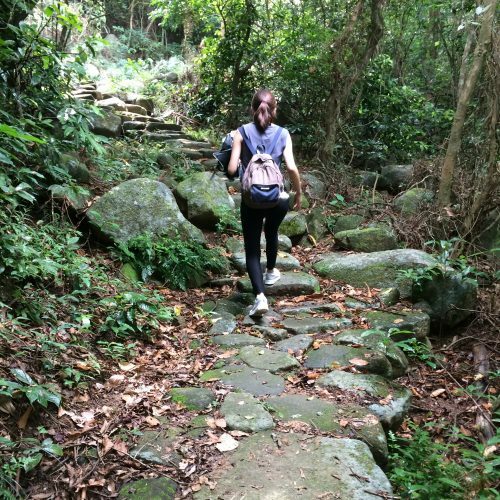 Hong Kong AIDS Foundation (hereafter as HKAF) has taken every reasonable measure to ensure your safety, there are hazards and dangers inherent in any competitive sporting event. As a participant in AIDS Free Runner, every racer is responsible for his/her own safety and understand the risks for entering this event. HKAF will cover the race with public liability (a.k.a. third party liability insurance) only. If necessary, participants can purchase their own personal accident insurance/ pet insurance. 2. Participants must arrive at the starting area at the designated time. Participants who fail to do so may be disqualified. 3. The age is calculated as of the event day (i.e. 13 January 2018). 4. Applications will not be accepted after the enrolment deadline. 5. Each participant is allowed to enroll in ONE race only. 6. Enrolment cannot be cancelled or changed after submission. 7. Race entries are strictly non-transferrable. Participant should ensure that the personal data provided is accurate. In the event of false declaration or impersonation resulting in any loss or damage to Hong Kong AIDS Foundation (HKAF) or other event participants, HKAF reserves the right to take legal actions against relevant parties. 8. Participant must step on all timing mats along the race course to record their race times. HKAF shall reserve the right to disqualify the participant if no timing has been recorded. 9. To ensure the safety of all participants and pets, dogs participating the run must be at least 5 months old and have been vaccinated against rabies, enteritis and canine distemper. Dog owners must prepare supporting documents (i.e. Dog license) for inspection. 10. Dog owner must lead his/ her dogs with dog belts in the race. At the same time, dog owners should pay attention to the dog’s health situation and determine whether or not to let your dogs to participate. 11. HKAF reserves the right to limit and refuse entries without providing any reasons to the participant. 12. 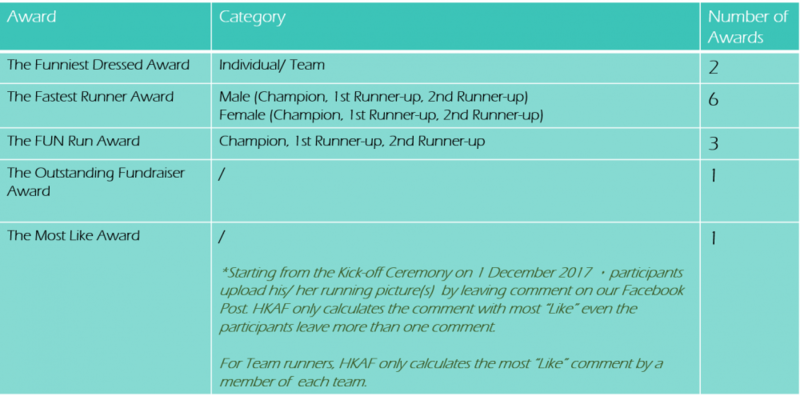 HKAF is not responsible for any complaints among the teams. – Any other extreme situation, including but not limited to severe weather or unsafe road conditions. 14. If the event is cancelled due to whatever reasons, no refund will be made and the event will not be rescheduled. 15. HKAF reserves the right to use the images of participants for promotional purposes. 16. HKAF reserves the right to edit the above terms and conditions without prior notice. 17. 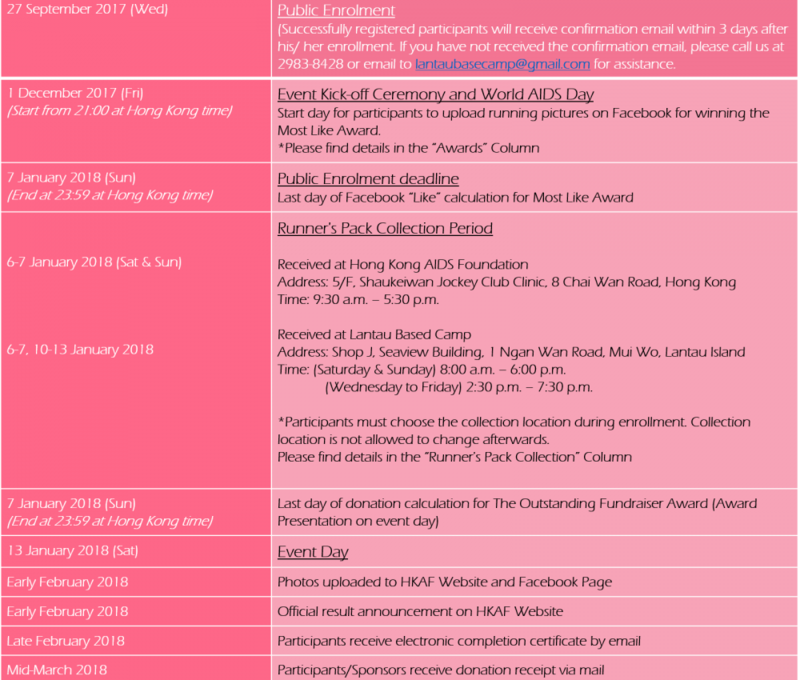 HKAF reserves the right of interpretation of any information in relation to Hong Kong AIDS Foundation Charity Run. 1. Participant (“I”) agree to assume full responsibility for all personal possessions during the AIDS Free Runner Charity Run (“The Event”). 2. I agree to abide by the rules set by the Hong Kong AIDS Foundation (HKAF) and instructions given by HKAF during the Event. 3. I understand that HKAF and its related entities, representatives, contractors, agents, employees and sponsors accept no liability for any death, injury or loss to runners, supporters or members of the public, nor liability for any damage to personal property of runners, supporters or members of the public. Each runner accepts full responsibility for any injury or accident or loss incurred or caused by such team member or damage to property that may arise directly or indirectly in connection with the Event (including during race practice), and each team member releases and discharges HKAF and its Representatives from any and all liability for any such death, injury, loss or damage, howsoever caused, whether as a result of any negligent act or omission, breach of statutory duty, or otherwise. 4. I acknowledge that participants accepts full responsibility for any risks to the pets caused in the Event. HKAF accepts no liability for any death, injury or loss to the pets. 5. I acknowledge that participating in the Event includes hazards and danger and each team member acknowledges that such team member participates in this event of their own volition and at their own risk. 6. I declare that each team member is not and will not be under the influence of drugs or alcohol, and have not and will not consume any medication, prescription or otherwise, which may reduce each team member’s ability to participate safely in the Event. 7. We understand that HKAF reserves the right to use all photos and promotional material connected with the Event for promotional purposes. 8. I acknowledge that notwithstanding the cancellation or re-scheduling of the Event for any reason, the registration fee, minimum team donation and any other sponsorship fee shall be non-refundable. 9. I (or as the team representative), by or before signing this Declaration and Waiver, I confirm to HKAF that, I (or each team member) have/ has read, understood and confirmed each of the above mentioned terms and conditions. As the team representative, I confirm that I am signing this Declaration on behalf of each team member, with their consent and authorization.